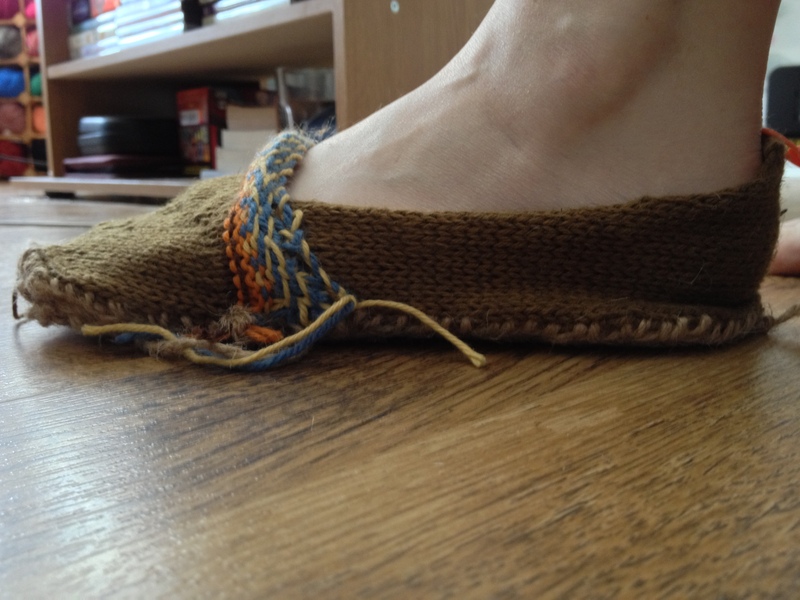 After a few set backs I can proclaim that I have completed my Espadrilles in the nick of time! Huzzah! This project was more of a challenge than I had initially bargained for, but I am pleased with the results. 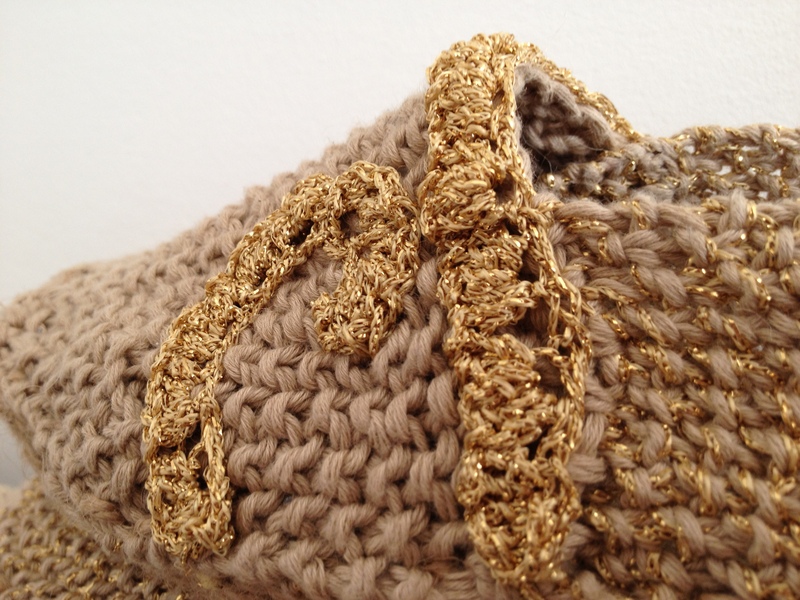 My initial prototype (seen below) helped me discover a few design flaws, and the key factors in making a successful knitted shoe. The most important element to a shoes design. While the soles on my original prototype worked well, I felt that second time around a “double” sole for my espadrilles would improve longevity & durability. The sides of the original prototype were far too soft and floppy to provide support for the foot. To create the stiffer sides seen on the finished design,I used a seed stitch, which is less stretchy than it’s stockinette counterpart. I also held two yarns doubled,together. One of which was a synthetic thread. This made the stitches hold tighter and closer together. Pictures of the finished project below. Let me know what you think! Is there a pattern for theses.